Winner to be presented at Opening Reception of Bloody Scotland International Crime Writing Festival live on BBC TV on Friday 9th September 2016. A panel of judges chaired by Magnus Linklater today reveal the four finalists for The McIlvanney Prize from a ten strong long-list featuring some of the best names in Scottish crime fiction. The judges who included award-winning librarian Stewart Bain and journalist Lee Randall commented that the list demonstrates the huge variety and vigour of crime writing from Scotland and explained why each book made the final four. BLACK WIDOW by Chris Brookmyre - this novel is like watching Olympic diving – just when you think the plot can’t twist again, it takes a new turn. Even the twists have twists. With a theme of cyber abuse, this shows an author taking a long running series to new heights. BELOVED POISON by E S Thomson - an ambitious and original novel, full of vivid historical detail about Victorian medicine, and a richly gothic atmosphere with a large cast of wonderfully named characters, including the strong lead character. We’ve all read books or seen movies where we know damned well that the hero will survive and the villain will die a grisly death. After all, that pretty much describes 90% of all books and films. And usually, when the hero does die or the villain does live, it’s expected too. Gladiator had to turn out as it did. Any tale or movie of the life of Julius Caesar us unlikely to throw you an unexpected ending. Angus Donald’s recent ‘The Death of Robin Hood’ might be the most extreme example I can come up with, but it proves the point well. And (at least in literature rather than on screen) Batman’s enemies are always banged up rather than killed. The point is we expect lead characters to survive and villains to die. And usually when that’s not the case, we are led to expect that from the beginning. Often that’s a thing a writer is comfortable with, because their readers are comfortable with it. And if you’re writing a series (say a run of detective novels) it might give you something of a headache to kill off your detective part way through. On TV this has not always been the case, of course. Taggart without Taggart. From Morse to Lewis. But on the whole it doesn’t work well in book series. Writers don’t like to kill important characters without the readers wanting it. But sometimes it’s nice to buck the trend. Lord of the Rings threw me my earliest curveball when Boromir took those three arrows to the torso less than a third of the way into the story! Guy Gavriel Kay in ‘A Song for Arbonne’ kills off the character we all spent the book hoping would reconcile with his brother and come back. Darth Vader! Be honest. No one ever wants Darth Vader to die. He’s too cool for that. And on the flip side, James Wilde in his Hereward books actually has Hereward the Wake live through the end of his revolt and go on to whole new adventures where historical record sees him disappear. Go on… kill off the ones they like. You know you want to. Perhaps the best example of that for me is also Star Wars. Because we all know that Boba Fett is the cool customer, and don’t you just wince at the awful decision of George Lucas’s to drop him in the Sarlacc Pit? And that’s why a novel was written around how he got back out. Because that sat so badly with fans. But the things is that these deaths, especially when carried out in an arbitrary and off-hand fashion, create an atmosphere of tension and the unexpected. When Boromir dies, we spend the rest of the book on edge, aware that Tolkien could very easily kill off another of our faves. In Angus Donald’s Outlaw series, the Sheriff of Nottingham dies less than half way through the saga! And Little John is gone in the penultimate book! (Sorry for the spoiler there.) So that means that no one is truly safe from Donald’s pen. And that makes the series lively and tense. It adds something. Some writers take it to the level of an art form. I write in the historical genre and I do this often. Gordon Doherty and Anthony Riches are both well known for their body counts of principle characters, too. My latest novel (Insurgency) is the fourth in a series of historical fantasy books. And in the first of that series (Interregnum) I kill off a character so important to the plot part way through that I regularly receive emails from readers who are astonished that I did it. On a similar note, with crime novels, while it’s fascinating to read about a murder and then follow the investigators through the book working out how it was done, it is often so much more exciting to read them when murders continue to happen throughout the book, perhaps becoming a race against the clock, or a race between criminal and investigator. Expendables, you see? Throw an unexpected death in from time to time and keep the reader edgy and uncertain. It adds so much to the experience. More information about SJA Turney can be found on his website. 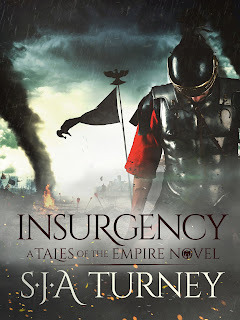 You can also follow him on Twitter @SJATurney or find him on Facebook. It was a hometown quinella on Saturday night as Paul Cleave and Ray Berard were announced as the winners of the 2016 Ngaio Marsh Awards at the WORD Christchurch Writers and Readers Festival. TRUST NO ONE (Upstart Press), a mind-bending psychological thriller about a writer with early onset Alzheimer’s who starts confessing the murders in his novels were real, earned Cleave his record third Ngaio Marsh Award for Best Crime Novel. The judges described it as “a stunningly audacious novel that functions as a literary hall of mirrors” – a book that “succeeds brilliantly on many different levels”. Berard’s debut, which was a finalist for both awards, was inspired by a diary he kept during his years working as an Area Manager for the TAB across the upper North Island after he emigrated from Canada during the mid 1990s. He was mentored during his writing process by Barbara and Chris Else. The Ngaio Marsh Awards are made annually in Christchurch for the best crime, mystery, or thriller novels written by New Zealand citizens and residents. The Awards’ namesake, Dame Ngaio Marsh, was a Christchurch mystery writer and theatre director renowned worldwide as one of the four “Queens of Crime” of the Golden Age of Detective Fiction. More than thirty years after her death, Dame Ngaio’s books remain beloved by many generations of readers. The Ngaio Marsh Awards were established in 2010 with the blessing of Dame Ngaio’s closest living relative, John Dacres-Manning. 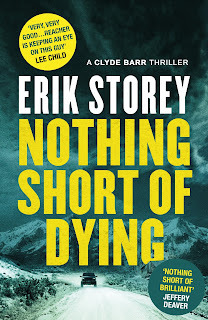 Today’s guest blog is by debut author Erik Storey who is the author of the Clyde Barr series set in Colorado. 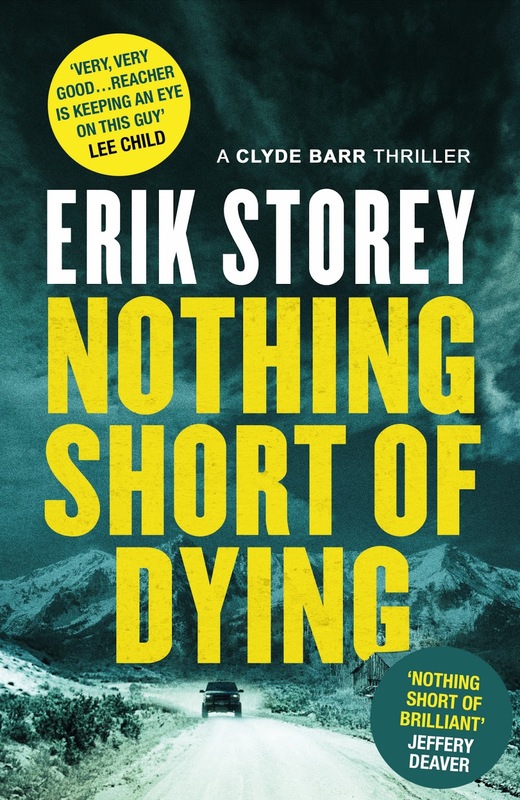 Nothing Short of Dying is the first book in the series. I once met an eighty-year old cowboy who’d always ask little kids, “What do you want to do when you grow up?” He didn’t really care for the kids themselves, he told me. But he still hadn’t figured out what he wanted to do with his life, and he was always looking for ideas. His comments were funny at the time, but I soon realized that I didn’t know what I wanted to be when I grew up either. I decided to explore life, and see where it took me. When I graduated high school, my senior quote was: “Learn, try, see, do, and experience as much as possible in a lifetime.” So I tried. 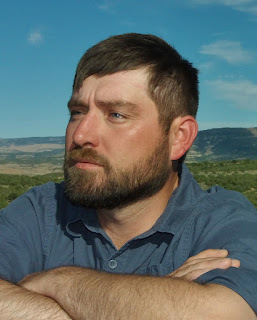 As a young man, I worked on cattle ranches, riding herd on hundreds of cattle as we moved them from the winter feeding ground to the high country, then moved them from pasture to pasture. At the time, I longed to be a cowboy, and I thought I’d finally fulfilled my dream. But it wasn’t all romance. After a couple of summers looking at the tail-ends of cows and eating dust, I decided to find something else to do. One summer I guided dudes (tourists) on horseback tours around Steamboat Springs. Then I went to college to study American Literature and, while there, learned how to guide hikers and backpackers into the high wilderness outside the old mining town of Leadville. I ventured out on some trips, but it wasn’t for me. I guided some folks on hunting and fishing trips, but again, it wasn’t for me. I worked one winter at a hotel in Breckenridge, then did a stint in a restaurant in Death Valley, then the next winter I found myself taking people on dogsledding tours near Jackson Hole, Wyoming. A winter full of blizzardy days that combined temperatures of twenty degrees below zero with complaining tourists from sunny Florida and Spain didn’t appeal to me, so I continued my quest for something to be when I grew up. The next fifteen years or so were filled with more odd jobs. At one point or another, I’ve worked as a bartender, locksmith, exterminator, utility locator, truck driver, Forest Service technician, weed sprayer, construction laborer, and janitor. What those years weren’t filled with was writing. I dabbled a bit in college. Then pretty much gave it up for a decade. Then I scribbled a bit again when I got married and had children. Then I gave it up again, realizing that I’d never write the Great American Novel or win the Pulitzer or Nobel. It was only after my oldest daughter started going to school, and I was working seasonally, that my wife suggested I start writing again. It would be a way to fill the long winter days. I told her how I felt about my failed literary aspirations, and she told me to write something I’d like to read. That got me unblocked. I recalled the paperbacks that, in my younger days, I used to love reading in cabins and bunkhouses, and I started writing again. The first time I got stuck, I again sought out my wife for advice. She told me to write what I know. I still haven’t figured out what I want to be when I grow up, but I’m much, much closer. This writing thing feels right, like something I’ve been working on since high school. I just didn’t know it at the time. Sixteen years. That’s how long Clyde Barr has been away from Colorado’s thick forests, alpine deserts, and craggy peaks, running from a past filled with haunting memories. But now he s back, having roamed across three continents as a hunter, adventurer, soldier of fortune, and most recently, unjustly imprisoned convict. And once again, his past is reaching out to claim him. By the light of a flickering campfire, Clyde receives a frantic phone call from his sister Jen. No sooner has she pleaded with him to come rescue her than the line goes dead. Clyde doesn’t know how much time he has, or where Jen is located, or even who has her. All he knows is that nothing short of dying will stop him from saving her. Joining Clyde in his against-all-odds quest is a young woman named Allie whose motivations for running this gauntlet are fascinatingly complex. As the duo races against the clock, it is Allie who gets Clyde to see what he has become and what he can still be. 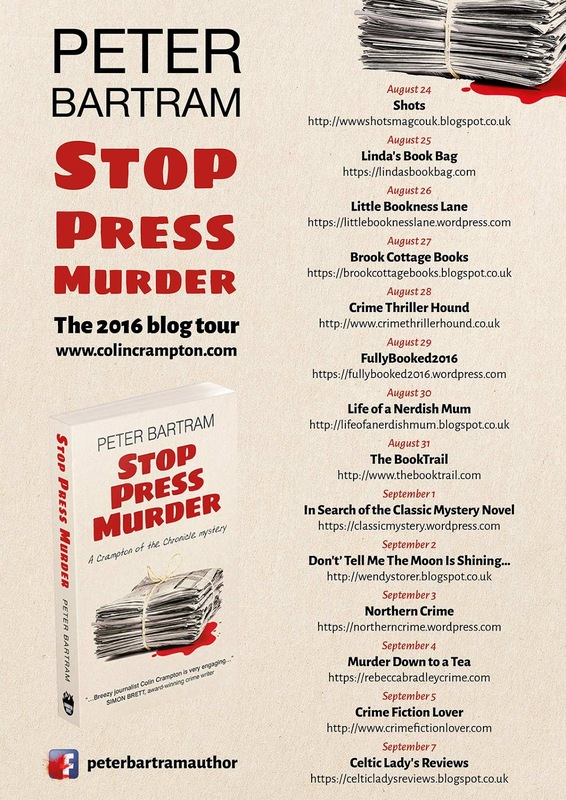 Today's guest blog is by author and journalist Peter Bartram. 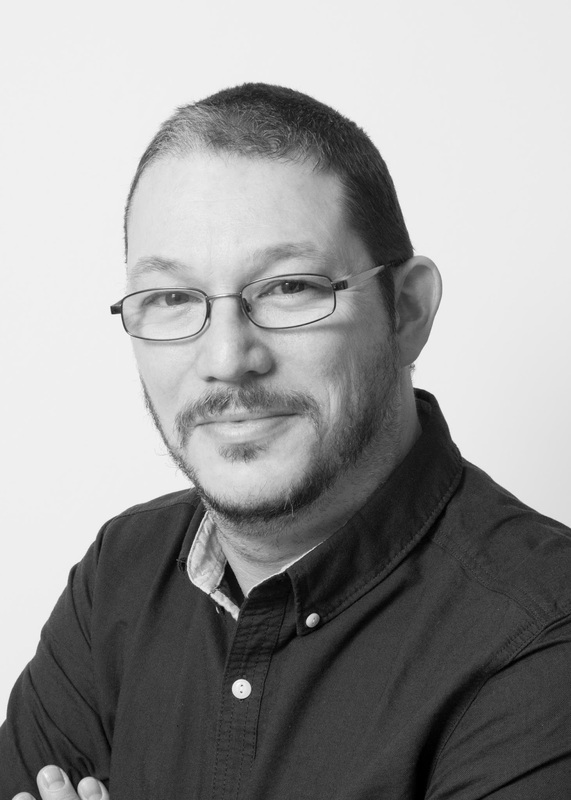 He has written over 3000 articles for a wide range of newspapers and magazines. Stop Press Murder is the second of a series of crime novels set during the "swingin sixties". That brilliant Sunday Times journalist Nicholas Tomalin once said: "The only qualities essential for real success in journalism are, a plausible manner and a little literary ability and rat-like cunning." When I first started work as a newspaper reporter in the 1960s, I soon found there was a lot of truth in what Tomalin said. In recent years, we've read endlessly about the misdemeanours of journalists in the phone hacking scandals. But there was never a golden age when reporters behaved like angels. Back in the 1960s we may not have had mobile phones to hack, but we had plenty other tricks up our sleeves. The aim was always to get the story before our rivals. And if that meant making it difficult for rival reporters to file their copy - well, they'd do it to us if they got the chance. In the 1960s, mobile phones weren't even a gleam in Vodafone's eye - in fact, there wasn't even a Vodafone. But we needed plenty of telephone tricks to file our copy. Often we'd be in situations where the only way to file copy was by using a public phone. And if there were several reporters on a story - and only one phone, the first one there gained a beat on the others. One trick was to slip a helpful youngster a little pocket money to pretend to use the phone until you turned up. In those days, all phones were operated by the Post Office. So another scam involved making official looking signs saying the phone was out of order. In Brighton, where I spent time freelancing, it was useful to know hotel hall porters. Get on their right side and they'd let you use the phones on their desks if the others were all engaged. Taxis were another source of scam activity. In those days, reporters relied on taxis to get them to remote stories - and back to the office - more than they do now. I remember one colleague who was hard-pressed by rivals on a story. All the reporters needed a taxi to get back to their respective offices. He reached the rank first and found three taxis plying for hire. He took one and just paid the other two to take off somewhere else so the rivals had to wait. One of the perennial problems in newspapers is getting to talk to people who'd rather avoid you. I remember being commissioned by a national newspaper to get a quote from an important person. The individual was at a dinner in a private room at a posh hotel and hired a couple of heavies to prevent any newsmen getting near him. In the end, I persuaded one of the waiters to take in a note with a single question on it. The note said that if he didn't answer the question, tomorrow's paper would report he had "no comment". He answered. Unlike some of the phone hackers, we steered clear of breaking the law. At least, most of us did. But sometimes we skirted close to the edge of it if we insinuated we were someone else when trying to interview a hard-to-reach target on the phone. Colin Crampton, the crime reporter in my mystery series, knows every trick in the book - and some. But he has a saving grace. When he pulls a scam it's in the service of a greater good - such as discovering a hidden truth or righting an injustice. Few of us covered the kind of juicy murder mysteries that Colin investigates. But I like to think that, at heart, we had the same vision of the purpose of responsible journalism. 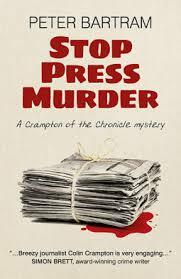 Stop Press Murder: a Crampton of the Chronicle Mystery is published by Roundfire Books. There is a free Crampton taster novella - Murder in Capital Letters - available to download at www.colincrampton.com. You can find more information about Peter Bartram and his books on his website. George Mann is the author of the Newbury and Hobbes and The Ghost series of novels, as well as numerous short stories, novellas and audiobooks. He has edited and written a number of Sherlock books including Encounters of Sherlock Holmes, More Encounters of Sherlock Holmes and Sherlock Holmes: The Spirit Box. When Sir Arthur Conan Doyle sent Holmes tumbling to his apparent death over the Reichenbach Falls in 1893, it was, to all intents and purposes, the end of the world's foremost consulting detective. 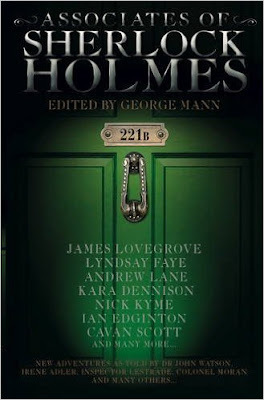 Doyle originally had no intention of reviving the character - in his mind, Holmes was dead, the stories were over, and the author could spend his days concerning himself with other things, much to his relief. What Doyle didn't realise, however, was that he'd come to the decision too late. Holmes had already outgrown his creator. Adored by the reading masses, Holmes had become a hero, a legend, a figurehead. There was a public outcry, and it wasn't long before Doyle felt compelled to revive the character, explaining how Holmes had survived the fall through his usual brand of cunning and resourcefulness. Holmes has continued his adventures ever since, persevering long after Doyle's death, still solving seemingly impossible crimes, even now. What's intriguing is how Holmes, perhaps more than any other fictional character in the English language (and far beyond) has transcended his creator, and, indeed, the fiction in which his story began. For Holmes has become more than a simple character, a device for telling clever detective stories - Holmes has passed into myth, like Hercules, Frankenstein's monster, or Romeo and Juliet before him. The line between fiction and history has been irrevocably blurred. Holmes is so ubiquitous that those unfamiliar with the original stories sometimes mistakenly believe the character to be a real historical figure. Indeed - pilgrims can visit his house on Baker Street in London, and his ongoing adventures are chronicled in any number of stage plays, television series, radio plays, novels and stories. 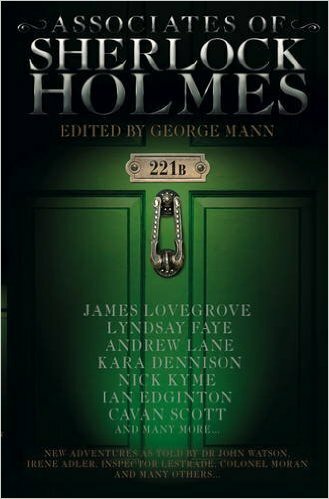 Why is it that Holmes should have endured where so many other characters have passed into obscurity? Perhaps it's because, in the Sherlock Holmes stories, Doyle created a template for the modern detective story, that even now percolates through almost all crime and mystery fiction on the shelves in bookshops and libraries around the world. Perhaps it's because that same template has been adopted by television, and that every time we sit down to watch an onscreen detective take on a new case, we're reminded of the original master, and his outlandish and fiendishly clever techniques - techniques that are often imitated, adopted or borrowed by those who came in his wake. Perhaps it's simply a tribute to the remarkable portrait Doyle painted of two men, Holmes and his indefatigable Boswell, Dr. John Watson, of their atypical friendship, and the fact that these characters continue to loom larger than life. What's clear is that many of us feel a deep affection for the character, and a certain responsibility to continue his adventures; to continue chronicling the exploits of this great master, so he is never forgotten. More than that, there's a selfish impulse, too, to somehow become a small part of Holmes's on-going story, to contribute, to give something back to a character who has given so much to us. As each generation finds a new way to engage with the character - some coming to him through the original canon, others through modern television adaptations or pastiches - a new group of people are inspired to create new and fascinating adventures for him. It's in this way that Holmes lives on, and will surely live on for centuries to come. As his fall over the raging Reichenbach Falls proved all those years ago - Holmes is essentially immortal. You can find more information about George Mann and his work on his website. You can also follow him on Twitter @George_Mann and follow him on Facebook. Diana Bretherick: Criminology and Crime Fiction.